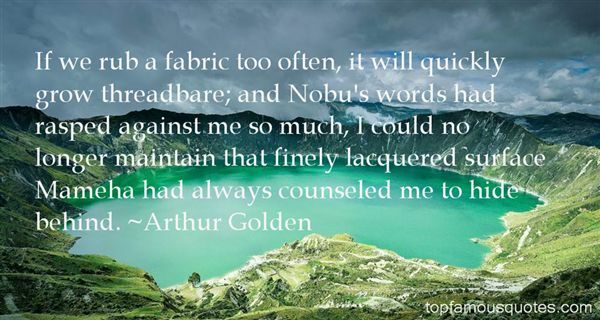 Reading and share top 112 Arthur Golden famous quotes and sayings. 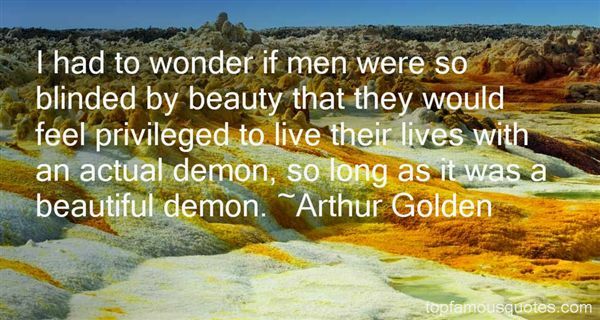 Browse top 112 most favorite famous quotes and sayings by Arthur Golden. Gen stopped and talked to Simon Thaibault, who was reading One Hundred Years Of Solutide in Spanish. 'This will take me forever,' Thaibault said to Gen in French, 'Maybe a hundred years. At least I know I have the time. ''Who knew that being kidnapped was so much like attending university?' Gen said." 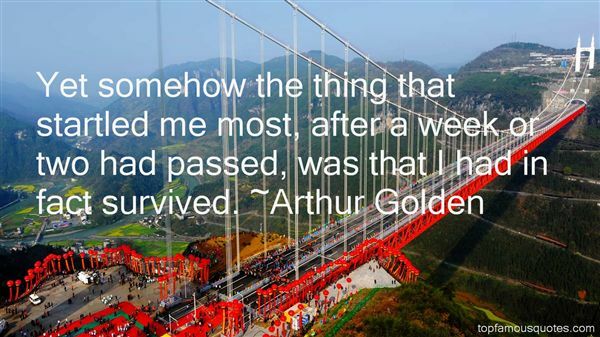 What Did Arthur Golden Talk About?